Let us explain. Suppose the leasing agent or landlord wants you to pay $25 per square foot on new lease space (or even on a lease renewal). However, you know that every other tenant in the building is paying rent ranging between $18 to $20 per square foot. Armed with this information, you would have no difficulty justifying your negotiations would you? Restaurant tenants often mistakenly believe that the agent or landlord wouldn’t dare ask for more rent than the space is worth. Consider, however, that the landlord is paying the leasing agent commission not just to lease the space, but to lease it for the highest rent possible – and to the best tenant available. Commercial landlords justifiably want to maximize the return on their real estate investments, which is entirely acceptable. You can learn a lot about the landlord’s property management practices, how tenants are treated, how approachable the landlord is and so on by approaching current tenants. Tenants will often tell you whether they plan to stay or move, if their rent is excessive and other inside information only existing tenants know about. Even if you’re in love with one property, conspicuously seek out other options as it pays to create competition for your tenancy among several landlords in one geographical area. Leasing agents and landlords will often soften on asking rental rates when they realize you have sought out leasing options. Remember that you are the customer. Don’t hand the landlord your tenancy on a silver platter – make him/her earn it. It’s much easier to negotiate when you see the business terms on paper. Suggest that the leasing agent or landlord e-mail you the Offer To Lease. Typically, the deal will never get worse than the first Offer or Proposal presented so you can measure your negotiating progress by comparing where the deal started and where it finished. Frequently, the first Offer is padded with room for negotiation – so never accept the first Offer outright. No matter what rental rate you’re offered, flinch a little. Act surprised that the rent is so high. Frequently, the agent’s first offer is made to test you, to see exactly how you react. If you look visibly relieved or even pleasantly surprised by how reasonable the rental rate is you can be sure it won’t come down. Question what other tenants are paying, specifically those who have recently moved in or renewed their leases. This is called the prevailing rate. When you learn that a tenant is paying $25 per square foot don’t stop asking questions there. Inquire about the incentives they received. How many months of free rent or how much tenant allowance money did the landlord give the tenant so they would agree to pay $25 per square foot? When you receive the leasing agent’s first Offer to Lease (or lease proposal) don’t counter-offer right away. If you have no fear that the space will be leased to someone else it can often work to your advantage to wait a few days. Even let the allocated response time lapse so you can counter-offer on your terms. Agents know that tenants can be influenced by artificial deadlinesthat are just that – artificial. When making your counter-offer you can do so by way of a separate letter stating your terms, or by changing the original document, initialing the changes, signing it and sending it back. If, after receiving the landlord’s most recent counter offer, you determine the terms will still not work for you, advise the landlord or their agent you are going to take some time to consider it further or explore other options. We have effectively done this for our clients and seen the rental rate drop by more than $10 per square foot from the landlord’s original asking price. Sometimes the landlord won’t budge on the rental rate. This is not the end of your negotiations. Frequently the landlord will concede other incentives such as free rent or more tenant allowance dollars in order to achieve his/her rental goals. If you can’t bring the rent down can you get the incentives increased? For a complimentary copy of their CD, Leasing Do’s & Don’ts for Commercial Tenants, e‑mail DaleWillerton@TheLeaseCoach.com. 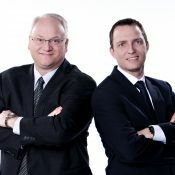 Dale Willerton and Jeff Grandfield - The Lease Coach are Commercial Lease Consultants who work exclusively for tenants.They are professional speakers and co-authors of Negotiating Commercial Leases & Renewals FOR DUMMIES (Wiley, 2013). For leasing advice, call 1-800-738-9202, email DaleWillerton@TheLeaseCoach.com or JeffGrandfield@TheLeaseCoach.com or visit www.TheLeaseCoach.com.